CROWDFUNDING: The JOBS Act, with its crowdfunding provision, was supposed to be kick off a revolution. Now anyone could invest in high-risk startup equity. It was supposed to disrupt the entire business of venture capital. Equity for all! And then it took four years to implement. Equity crowdfunding for everyone finally became legal last May. And then…. we barely heard a whisper about it. I recently spoke with Indiegogo founder Slava Rubin about what’s going on. Rubin admits it’s been a slow start to equity crowdfunding in general. “It’s so new that so few people know about this,” he says. “There’s going to be the early adopters who are willing to rake risks and those things will go well or they’ll learn from them ,and then they’ll be able to tell their neighbors or their friends.” Every Indiegogo equity campaign the company has hit its target, Rubin. The company has purposely chosen a diverse group of companies to start with, ranging from software and hardware companies to distilleries, restaurants and even movies. OVERACHIEVERS: This morning Fortune revealed its annual 40 under 40 list of the most influential young people in business. Emmanuel Macron topped the list; Mark Zuckerberg is No. 2. 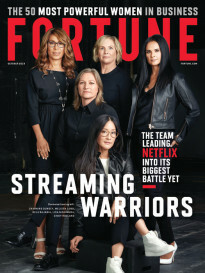 All the familiar unicorn CEOs and founders are on it: Didi cofounders Cheng Wei and Jean Liu, Airbnb cofounders Brian Chesky, Joe Gebbia and Nathan Blecharczyk, Stripe cofounders John and Patrick Collison, Lyft cofounders John Zimmer and Logan Green, Spotify CEO Daniel Ek, Wework CEO Adam Neumann, Pinterest CEO Ben Silbermann, Dropbox CEO Drew Houston, Coinbase CEO Brian Armstrong, Crowdstrike CTO Dmitri Alperovitch, and Eventbrite CEO Julia Hartz. We’ve also included some unicorn founders that actually exited: Snap cofounders Evan Spiegel and Bobby Murphy, Carvana founders Ernie Garcia, Ryan Keeton, and Ben Huston, and Chewy.com CEO Ryan Cohen. And some non-unicorn executives and power players: Susan Fowler, JPM’s blockchain guru Amber Baldet, BlackRock’s head of corporate strategy Geraldine Buckingham). Also: The most famous (and infamous) 40 under 40 alumni and a profile of Ireland’s Prime Minister Leo Varadkar. “I would be very surprised if in 10 years’ time much more than 50 percent of the asset class was charging on the basis of committed capital,” Richard Clarke-Jervoise, head of the private equity team at multi-family office Stonehage Fleming, told PEI. MEANWHILE: Private equity funding has hit another post-financial-crisis high of $240 billion in dry powder. MY BAD: Yesterday’s Term Sheet neglected to mention the fact that in May, Uber extended its onerous 90-day window for ex-employees to exercise their options to seven years. Apologies for the oversight. • Class action suit against Poland Spring. • Mark Cuban wants Broadcast.com for his anonymous messaging app. • Why Alibaba’s stock is up 80% this year. • Japan’s exports rose in July. • Mexicans march to scrap NAFTA as their government tries to save it. 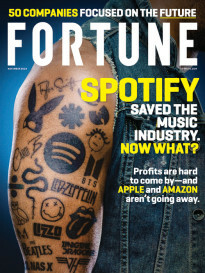 • Sheryl Crow invests in a new streaming service. • IBM’s Ginni Rometty on why the economic advisory forum disbanded. Bill Joy finds the Jesus battery. Goldman adds Silicon Valley-style perks in the war for talent. Why Cloudflare terminated Daily Stormer. The Economist on Trump. Tim Cook’s letter to employees about Charlottesville. Private equity follows the money. • Tokopedia, an Indonesia-based online marketplace for individuals and business owners, raised $1.1 billion in funding, according to TechCrunch. Alibaba led the round. Read more. • Color Genomics, a Burlingame, Calif.-based genetic health screening startup, is in the final stages of raising $80 million in Series C funding, according to TechCrunch. Read more. • ZingBox, a Mountain View, Calif.-based Internet of Things security solution provider, raised $22 million in Series B funding. Dell Technologies Capital and Tri Ventures led the round. • TuSimple, a China-based autonomous truck technology startup, raised $20 million in funding. Investors include Nvidia and Sina. • MedAware, an Israel-based provider of algorithm-rich solutions for the detection and elimination of prescription errors, raised $8 million in Series A funding. Investors include Becton, Dickinson and Company, Gefen Capital, OurCrowd and Yingcheng City Fubon Technology Co.
• LVL Technologies, Inc., an Austin, Texas-based company developing proprietary sensor platforms for wearables, raised $6.75 million in Series A funding. Samsung Catalyst Fund led the round, and was joined by investors including Maxim Integrated Products, Inc.
• Codacy, a Portugal-based automated code review platform provider, raised $5.1 million in Series A funding, according to TechCrunch. EQT Ventures led the round, and was joined by investors including Faber, Caixa Capital, Join Capital, and Seedcamp. Read more. • Ilos Videos, a Saint Paul, Minn.-based video software company, raised $1.5 million in seed funding. Active Capital led the round, and was joined by investors including Ingram Content Group and Hyde Park Venture Partners. • Atreca, Inc., a Redwood City, Calif.-based biotechnology company focused on developing novel therapeutics, raised $35 million in Series B funding. Investors include Wellington Management Company and Cormorant Asset Management. • CIC Partners made an investment of an undisclosed amount in East Hampton Sandwich Company, a Dallas, Texas-based fast-casual sandwich chain. • Evatic, which is backed by Viking Venture, acquired WinServ, a Sweden-based service management software provider. Financial terms weren’t disclosed. • Togetherwork, which is backed by Aquiline Capital Partners, acquired the Group Interactive Networks, a communications solutions provider for fraternities. Financial terms weren’t disclosed. GIN has now been integrated into OmegaFi, an operating company of Togetherwork, which is also a provider of technology and financial solutions to fraternal organizations. • Consolidated Machine & Tool Holdings, which is backed by White Wolf Capital, acquired Astro-Tek Industries, an Anaheim, Calif.-based maker of parts and equipment for the aerospace and government industries. Financial terms weren’t disclosed. • Hastings Equity Partners made an investment of an undisclosed amount in Reach Wireline, a Fort Worth, Texas-based provider of cased hole wireline and pumpdown services to exploration and production companies. Financial terms weren’t disclosed. • Oliver Printing & Packaging Co, a portfolio company of Pfingsten, acquired Pohlig Packaging, a Richmond, Va.-based maker of folding cartons, micro-fluted corrugated boxes and setup boxes. Financial terms weren’t disclosed. • TCV acquired EtQ, a Farmingdale, N.Y.-based environmental, health, and safety software developer. Financial terms weren’t disclosed. • KPA, a portfolio company of IVC Partners, acquired Automotive Compliance Consultants, a Crystal Lake, Ill.-based provider of environmental health and safety compliance solutions. Financial terms weren’t disclosed. • ShapeShift AG, which is backed by Earlybird Venture Capital, acquired KeepKey Hodler, a Seattle-based secure hardware wallet for digital assets such as bitcoin. Financial terms weren’t disclosed. • United Rentals Inc will buy Neff Corp (NYSE:NEFF) for about $1.3 billion, according to Reuters. Read more. • CEFC China Energy is in talks to acquire a stake in Russian state oil giant Rosneft (LSE:ROSN), according to Reuters. Read more. • Digi.me, a U.K.-based social content tool provider, and Personal, a Washington D.C.-based data solutions company, are merging. The combined business will be called digi.me. Digi.me and Personal have raised more than $45 million from investors including Omidyar Network, SwissRe, Planetary Holdings, TCS Capital Management, Allen & Company, Revolution Ventures, Ted Leonsis and Esther Dyson. • TELUS International acquired Voxpro, a provider of technical support and sales operations solutions with offices in Ireland, the United States, Romania, and the Philippines. Financial terms weren’t disclosed. • Google acquired AIMatter, a Belarus-based maker of the Fabby computer vision app. The company had raised approximately $2 million in venture funding from Haxus. • Centerbridge Partners, L.P. acquired enterprise software providers Syncsort Incorporated and Vision Solutions, Inc. from affiliates of Clearlake Capital Group, L.P. for $1.26 billion. Clearlake is retaining a minority ownership stake in the combined company. • Kairos Ventures, a Beverly Hills, Calif.-based venture capital firm, raised $85.15 million for its second fund, according to an SEC filing. The fund’s target is $150 million. • Invision Capital, a Chicago-based private equity firm, raised $62.4 million for its second fund, according to an SEC filing. • Jeff Berman is joining Greylock Partners as an executive-in-residence, according to Recode. Previously, Berman was the president of Whalerock Industries. Read more.